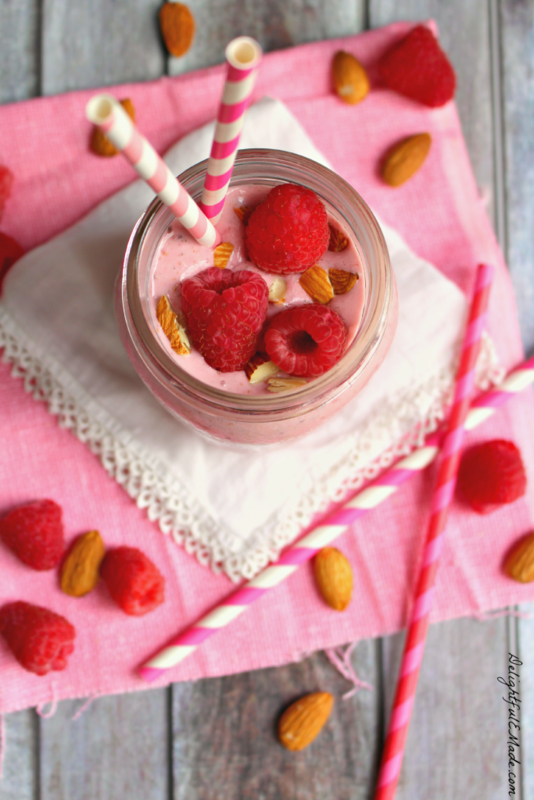 Meet your new favorite raspberry smoothie recipe! 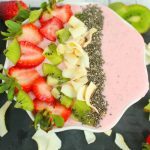 This delicious Raspberry Almond Chia Smoothie is not only pretty, but it’s really good for you too! Loaded with protein, antioxidants and packed with flavor this smoothie is the perfect way to start your day. 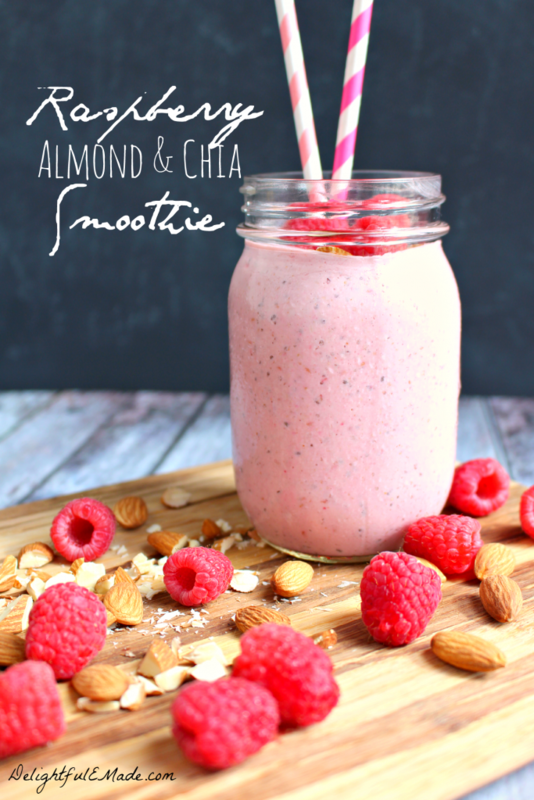 Raspberry Almond Chia Smoothie – the very best Raspberry Smoothie Recipe! On any given weekday, what will you typically have for breakfast? Do you have time for breakfast? Is it a challenge to eat something healthy, while also trying to wrangle kids and get them out the door for school? Do you have a long commute where stopping at your local fast food place seems like the best option for breakfast? I’m here to tell you that this Raspberry Smoothie recipe is here to save you!! 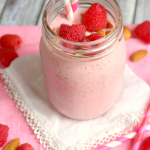 My Raspberry Almond Chia Smoothie is the perfect way to start your day. Made with real ingredients like raspberries, almonds, chia seeds and yogurt, you’ll have protein to fuel your body first thing in the morning. It’s such a better option than anything that you can get from a drive-thru window, and your body will feel so much better. 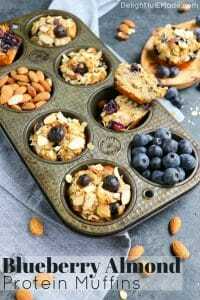 Its easy to make, totally delicious, and is loaded with protein and calcium. 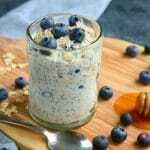 I make this smoothie with plain Greek yogurt, almond milk, and almonds which gives it nearly 10 grams of protein. 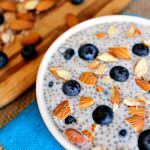 The chia seeds are an amazing super-food and loaded with lots of great nutrients including fiber, protein and the good-for-you Omega-3’s. 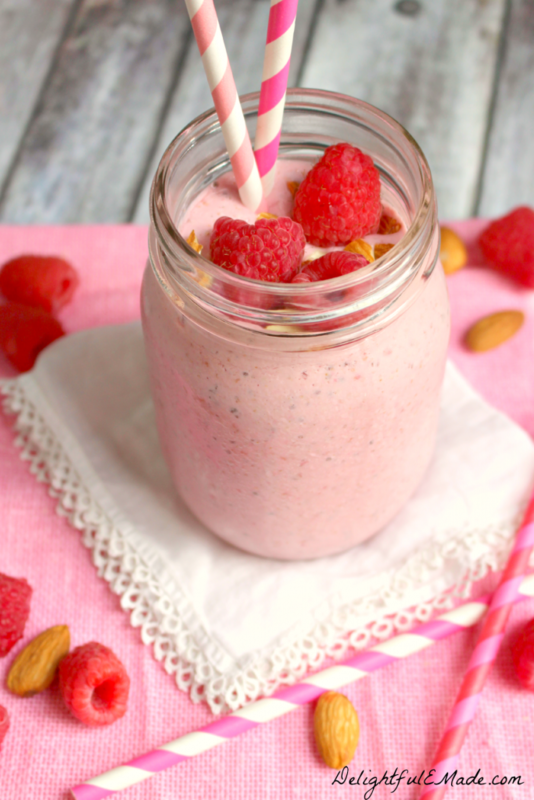 The raspberries in this smoothie are fantastic! I was able to score some fresh raspberries at the grocery store, but using frozen is just as good. Frozen raspberries are available year-round in the frozen food section, and a bit more economical as well. 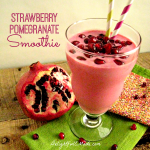 They also add that gorgeous pink color to the smoothie. 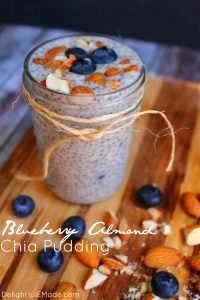 I top off the smoothie with some additional chopped almonds, which along with the chia seeds, gives the smoothie a nice crunch. The texture is fantastic, and you could easily eat this smoothie with a spoon. It’s thick, creamy and completely delicious! You can pour this smoothie in a to-go cup and enjoy on the way to work. 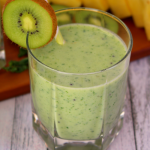 In just minute or two you can blend up this delicious smoothie, and be out the door with a healthy breakfast in-hand! For the yogurt & honey, stir together and then spoon into an ice-cube tray and freeze. Two tablespoons will typically fit into a standard cube, so I would place 5 frozen yogurt & honey cubes into a bag. Add the raspberries, almonds and chia seeds into the bag as well. Leave the milk out (unfrozen), as you will need it to be in liquid form for blending. You may need to add extra milk, as the extra frozen ingredients will make the smoothie very thick. Could you use a good tutorial on How to Make Smoothies? 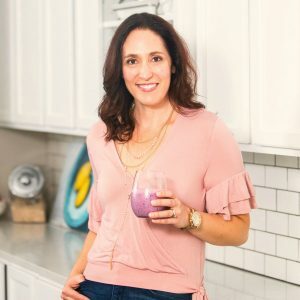 Check out my post over at Genius Kitchen where I break everything down, step-by-step for the ultimate, easy smoothie treat! 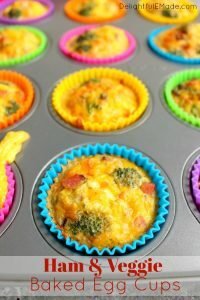 Ham & Veggie Baked Egg Cups – Low Carb & Packed with Protein! 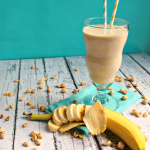 This smoothie is not only pretty, its loaded with protein and calcium and packed with flavor. The perfect breakfast to start your day! 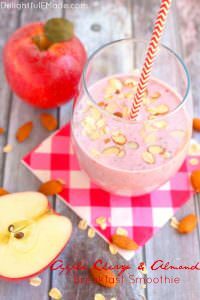 In a blender add all of the ingredients, reserving a few of the almonds. Blend until smooth and all ingredients are incorporated. Chop the reserved almonds to stir in if desired. Pour and enjoy. This is the prettiest healthy food I've ever seen! 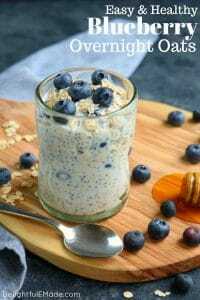 I haven't tried chia seeds yet, but they're definitely on my list! I'll have to pin this recipe for when I get up the nerve to buy some! Erin, this smoothie looks like the perfect way to start the morning! And I love how gloriously pink it is :) What a wonderful treat for a wonderful cause! I love all the healthy ingredients packed into this smoothie!! And it is so pretty. What a great Pink recipe! Hi Erin! 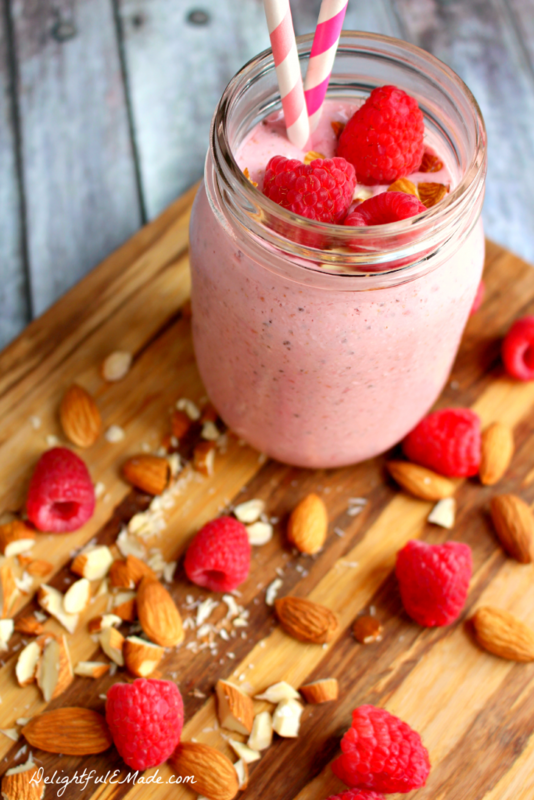 Your raspberry almond chia smoothie looks absolutely amazing. I have already pinned and I'm ready to try it out. I am doing a round up of healthy pink recipes coming up for Valentine's Day. I was wondering, with your permission, would it be alight if I linked to this recipe and used one of your pictures. Please let me know if this is okay! Thanks. looks amazing! thanks for sharing on craft schooling Sunday! I love ALL the flavors in this! 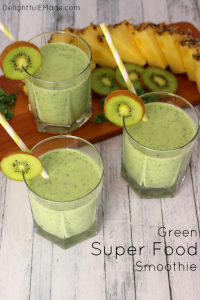 This smoothie is perfect for busy mornings! I love how you tied this with Cooking For a Cure!! So awesome! I love using chia in smoothies. This recipes rocks! What a pretty way to start the day, and an even better cause! This is gorgeous and looks so refreshing! This is going to be a great treat after I work out in the morning! Found another great smoothie for my chia seeds, too! I've got everything but the almonds -guess I'm going shopping! Thanks for sharing at the What's for Dinner Party! This looks so yummy! Sharing!